The development and testing of the xarvio app holds lessons for seed growers and breeders, including the importance of AI and not trying to replace your agronomist with an app. Analysis of large amounts of data – and the hardware to collect this data – is becoming the norm in many sectors, including seed. In agriculture in general, this concept is being applied to everything from biosecurity (for example, the Canadian geo-fencing livestock farming system Be Seen, Be Safe) to crop management (the ‘xarvio’ Scouting App from BASF, available in Canada since June). Collaboration and innovation have played a huge role in the development of xarvio — apps like it show a unique approach to technology development due in part to the unique needs of seed growers. 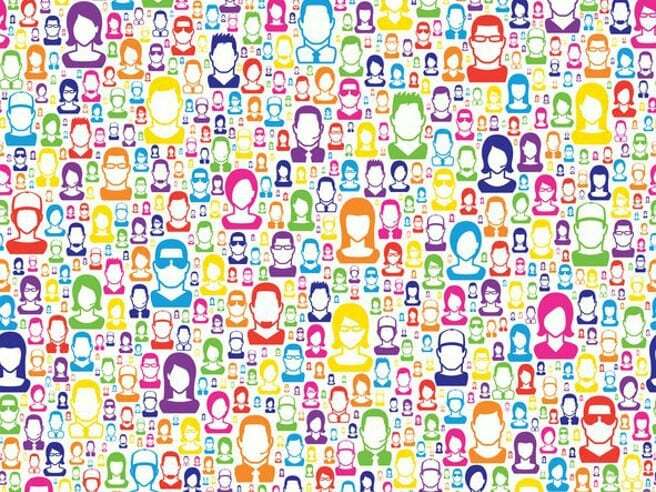 As with an increasing number of software platforms, individual data collected by xarvio users is shared throughout the system, allowing its machine learning algorithms (artificial intelligence) to both continually improve the precision of results that everyone receives, and boost the collective functionality of the system itself. This means, for example, that data from disease threats identified in one area is turned into warnings for other close-by areas. Indeed, as the app is used more widely and the database grows, crop health challenges can be better identified on a global scale. BASF reports that since the app was first used in Europe in November 2017 (launched at the Agritechnica event), it’s now being used in 90 countries with close to 60,000 users on board. It was launched in the United States in August. The app has already amassed a database of 150,000 weed and crop disease images and is on track to add an additional 100,000 images by the end of the year. Xarvio also measures the nitrogen uptake of wheat and rapeseed crops based on leaf cover, leaf green colour and estimated fraction of brown leaves. System data is stored in the Amazon cloud and other certified service providers guarantee a high level of data security. How long an individual user’s data is stored depends on the terms and conditions during sign-up. Prior to public launch in various global regions or countries, the xarvio recognition algorithms for pests and weeds were trained and improved upon through collaborations with academic institutions, extension organizations and more. 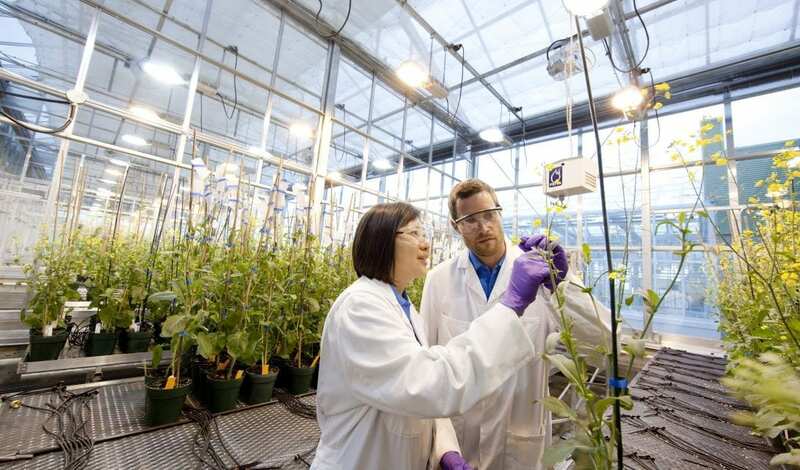 In Canada, Linda Hall — a professor in the University of Alberta’s department of Agricultural, Life and Environmental Sciences — was approached by BASF to take and share photographs of growing and adult weeds in the university’s greenhouse as well as in research fields. BASF, she says, wanted images of Canadian weeds specifically, as they are in some cases a little different from the weeds found in the United States. Ellen Misfeldt, a plant science departmental assistant at the University of Saskatchewan, was also asked to provide weed pictures. Farming Smarter, based in Lethbridge County, Alta., has also assisted in xarvio development through providing weed pics. Farming Smarter is a non-profit organization that conducts applied research that helps southern Alberta crop producers make informed choices around inputs, technology and management, and disseminates information through a wide variety of extension efforts. One of the user challenges BASF has heard about is a non-recognition result after a picture of the weed or diseased vegetation isn’t recognized by the system. “This is by design,” stresses Rolletter, “so mis-identification doesn’t occur, and will also be more common in early days of the app as the algorithms continue to be added to with more types of weeds and diseases.” She notes that BASF continues to work hard in many countries to boost the collection of pictures that continue to train the algorithm. Software updates are added regularly through major app stores and users should be downloading these. As with any new system, some changes have already been made since launch and more are to come. To date, that includes a synchronization of the xarvio app with online xarvio Field Manager accounts, allowing users to reference the archive of scouting reports and pictures inside a more robust field management system instead of just the one on their mobile device. In Coles’ view, the app can “really help” with accurate identification and could eventually lead to autonomous scouting. However, he warns that it could be dangerous to try and replace a well-trained agronomist with an app such as this, and that it should be used only as a tool. As is the case with other new high-tech tools in agriculture and beyond, at the same time current limitations are recognized, future potential should also be recognized. 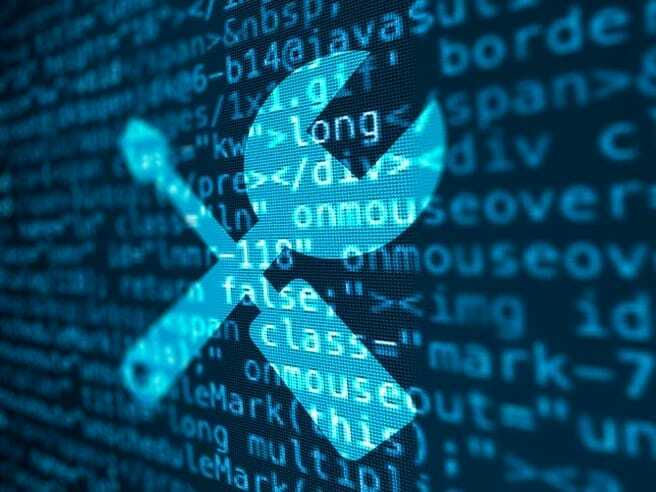 “So far, error is quite high,” says Cole, “but with more data it should get better.” And as we’ve learned, adding to that data and reducing error is all about further collaboration and collective use. The data is in: yield boosts, lowered disease and insect pressure are just some of many benefits of planting two or more crops together. Derek Axten started intercropping by accident in 2009, when he seeded a field of brown mustard into lentil stubble. When he harvested the field, he expected to see an overall loss. Instead, the lentil yield matched that of his other lentil fields—and he got a great load of mustard to boot. In terms of land equivalency ratios, or the amount of monocropped land needed to achieve yields equal to those of an intercropped system at the same management level, the Axtens average somewhere between 1.25 and 1.3, although they have seen years over 1.5, says Axten. In 2017, some of their intercropped fields were a wash. “But averaging with the other years we’re still ahead of the game,” he says. This is in part owing to the fact that they don’t use any nitrogen on their intercrops, because N is supplied by the pulse in each combination. Added to this, disease and insect pressure is so low on their intercropped fields that they almost never have to spray. A peanola intercrop also offsets N depletion in the soil after canola. Planted alone, peas can leave a 40 lbs. of N credit in the soil; producers can expect to see about half this credit — maybe 20 lbs. N — after peanola. But the reduction in pest and disease pressure is perhaps the most fascinating result of intercropping peas and canola. In a 2017 study, Chalmers showed that pea crops planted alone could see 16 or more pea aphids per plant. In the peanola mixture, that figure dropped to around two to four aphids per plant — well below the economic threshold levels for spraying. Similarly, in a study in Hamiota, Man., Chalmers’ team found 18 per cent pea disease incidence in monocropped pea versus two to three per cent pea disease incidence on the intercropped peanola under the same environmental conditions. 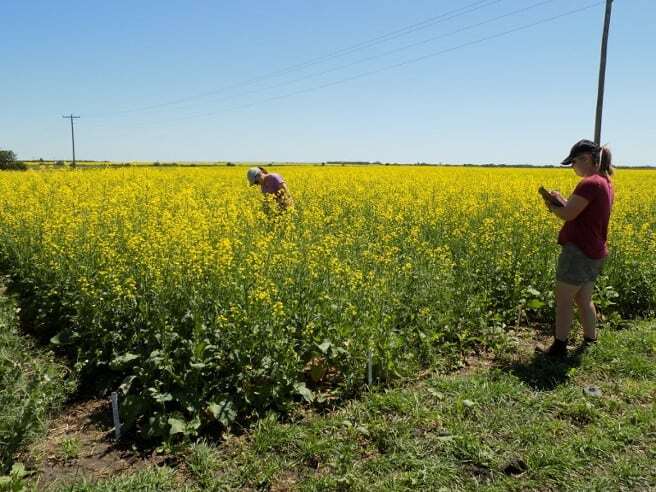 Chalmers says intercropping is best used as a pulse production system: the intercropping system actually doesn’t favour canola, but there are huge benefits for pea. According to Colin Rosengren, a founding member of Three Farmers, a Saskatchewan-based business that manufactures camelina oil, it’s hard to get crop insurance on intercrop mixtures. For producers considering intercropping for the first time, Chalmers says it’s important to “start small,” and get comfortable with the process before growing whole quarters. “Intercrops are a bit more finicky. There’s more to look after. It’s two crops on one field, which means twice the thinking power,” he says. They’re riskier, too: according to Colin Rosengren, a founding member of Three Farmers, a Saskatchewan-based business that manufactures camelina oil, it’s hard to get crop insurance on intercrop mixtures. In Saskatchewan, producers can get specialty crop insurance on a portion of their intercrops, which guarantees producers the average on their other insured crops. But Rosengren, who intercrops perhaps three quarters of his 6,000-acre operation, says it isn’t worth it for him. In terms of agronomics, there’s both an art and a science to intercropping, and it takes keen observation and a lot of trial and error to figure out what works best. For Rosengren, who this year will grow forage oats/peas, flax/chickpea, corn/soybean/flax, pea/mustard/lentil, camelina/lentil, and flax/chickpea/soybean, intercropping works best when the crops have different resource requirements — water, sunlight and topography. “Peas and lentils perform better in hilltops on lighter soils, and soybeans and peas are wetter crops for us, so we change the populations to put them in the areas where they’re best suited. We’ve gained extra yield by doing so,” he explains. 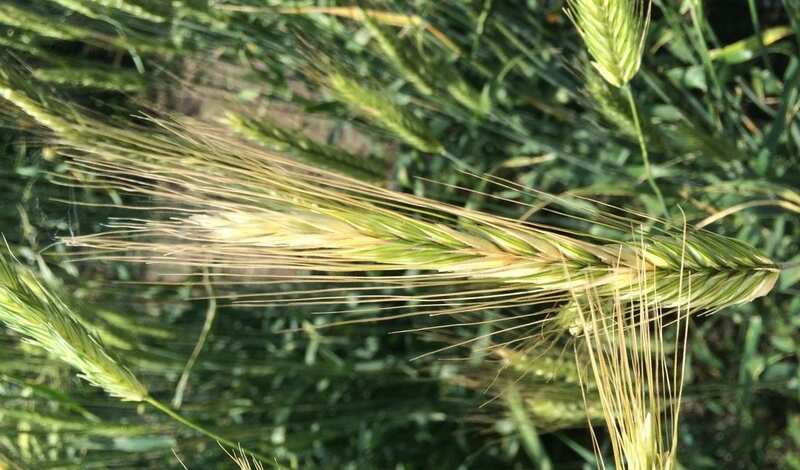 Last year, Rosengren saw something extremely interesting in his barley crop, which was planted alone on a full soil profile following an intercropped mixture. Though it was a very dry year with only 2.5 inches of rain, he got the highest yields on barley he’d ever seen. Rosengren runs full oil profile tests on his camelina for Three Farmers, and when intercropped, the camelina oil is of very high quality, quite apart from potential damage wrought by diseases and pests. “This is an indication that we’re not fully capturing the potential that’s out there,” he says.